How are you doing on that healthy resolution you made last month? There’s a good chance that you haven’t given up just yet. But research reveals that your odds slip significantly as the year moves along. At least you have a chance if you’ve actually made a resolution, according to a recent study from the University of Scranton published in the Journal of Clinical Psychology. Those who make an explicit resolution are 10 times more likely to reach their goals than those who don’t. So if you are sticking with your plans and getting the exercise you want and eating better, congratulations. You should be proud of yourself. These things you are doing now really will make a difference in the weeks, months and years to come. You are giving yourself a great gift. If you’ve already slipped or are only getting started now, don’t give up. It’s not too late. Even if you’ve eaten an entire bag of cookies this week or ran only twice and now can’t find your running shoes, you can still achieve your goals. I’m telling you this because another study showed that women do better when they’re encouraged to be especially resilient and not give up just because they’ve reverted to old habits. Consider this your encouragement. This research also indicated that women do better when they tell their friends and family about their resolution, so go ahead and share your plans. There are some other tricks that can help you stay on track such as breaking down the resolution into manageable chunks. These are commonly called SMART goals: specific, measurable, achievable, realistic and time based. It’s not enough, for instance, to say “I want to get in shape.” It’s better to say, “I will walk 20 minutes a day on Sunday, Tuesday and Friday.” Rather than just aiming to lose weight, break it into steps. Maybe start with keeping track of what you eat for a week and then make small changes one week at a time. Keep track of your accomplishments and give yourself rewards as you go along. Don’t beat yourself up for what you don’t do, instead, give yourself credit for what you accomplish. Give yourself the same encouragement you would give to your best friend because you deserve it. 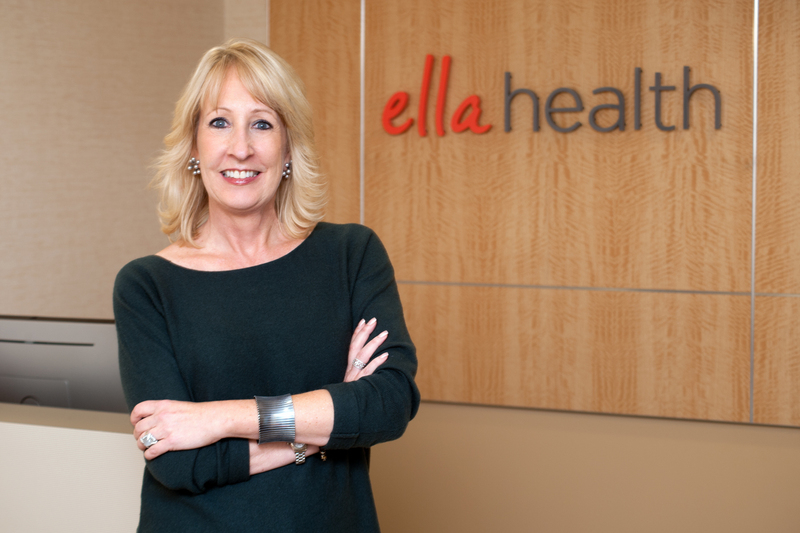 Melissa Dyrdahl, the Chief Executive of Ella Health promotes a better model of care focused on empowering women to take charge of their health.